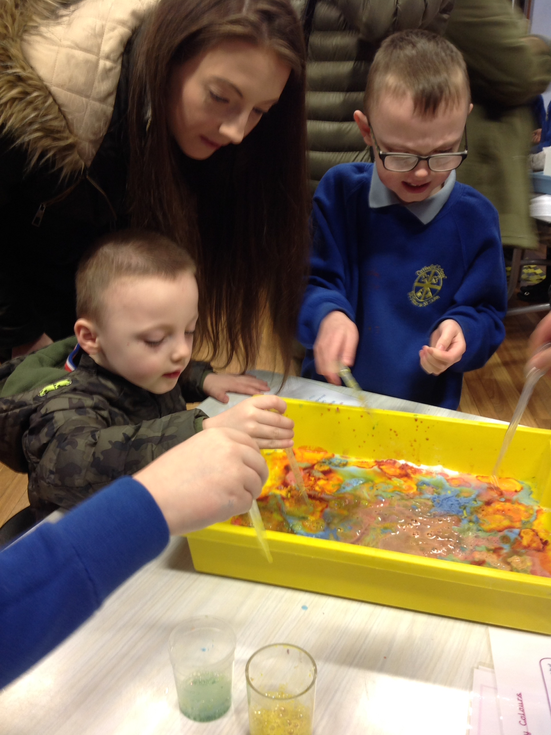 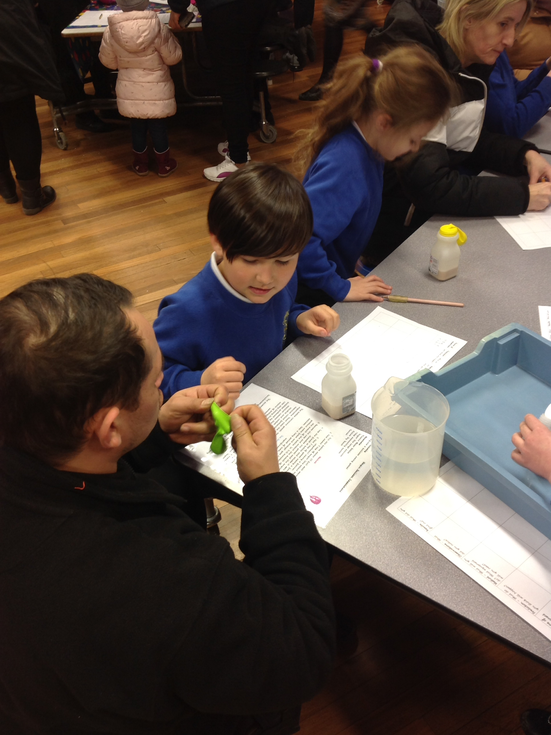 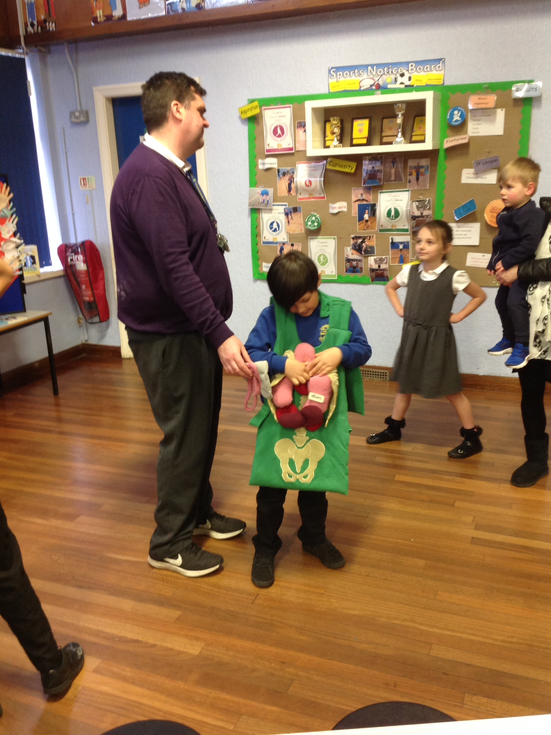 Ks2 invited parents to join them in some very fun experiments some involving chemical reactions! 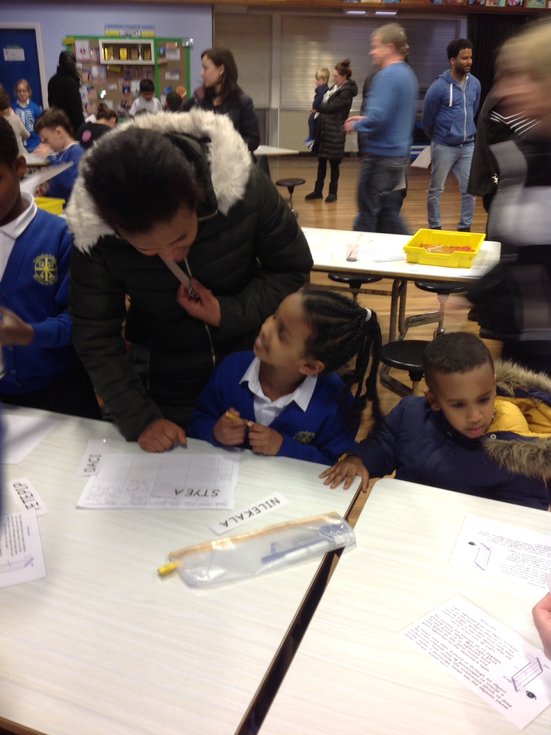 We got to discuss each experiment with our friends and our parents and discuss our results. 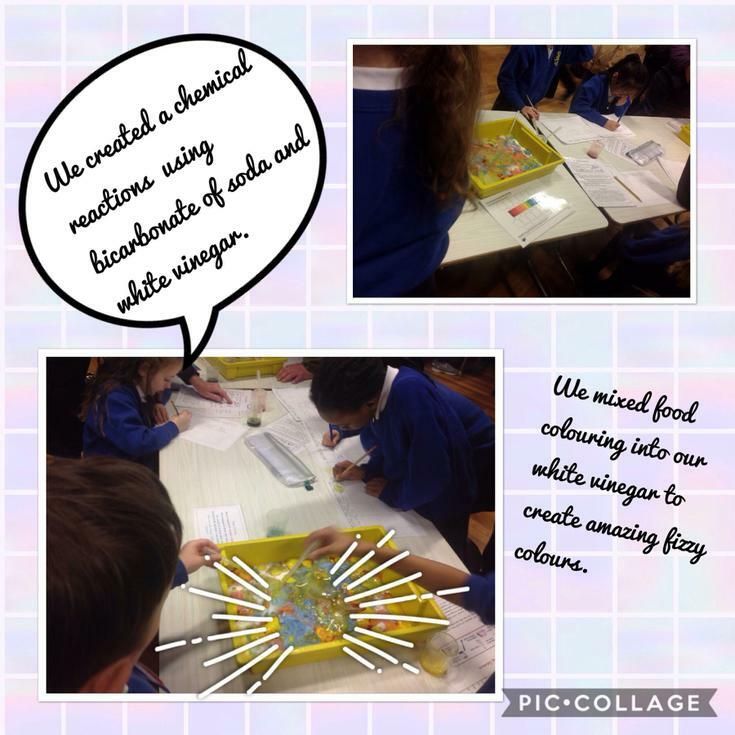 We created fizzy colours using a chemical reaction by mixing an alakaline and an acid. 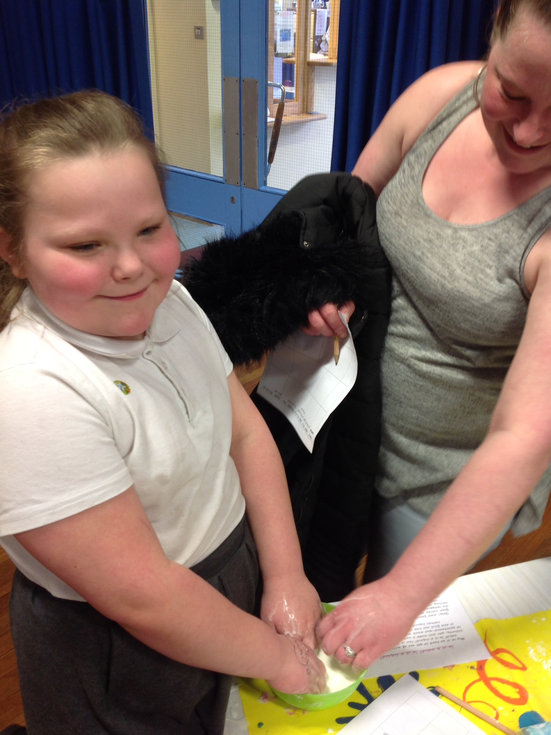 We made our very own magic balloons using the carbon dioxide created when yeast, warm water and sugar are mixed.